Attached is a flyer (in English & Spanish) that is currently being distributed by law enforcement officials to residents who reside in an area of eastern Hays County near Goforth and High Roads. The Plum Creek Conservation District is releasing water from a nearby dam, and emergency officials want to ensure that residents of the area understand that flooding might occur that would impact roads and property. Emergency officials are encouraging residents to sign up for emergency alerts at www.WarnCentralTexas.org to ensure that they get messages if action on their part becomes necessary. Currently, officials are letting them know that they should be prepared IF evacuations are necessary, to sign up for alerts and to follow any instructions that officials give. Please consider sharing this information in English & Spanish with your readers/listeners/viewers. Media will be advised if the situation changes. Thank you for your consideration. Heavy rains in the area have caused rising lake levels in the eastern part of Hays County near Goforth Road and High Road. Emergency officials are preparing for possible flooding that may impact homes and property in communities near the Goforth/High Road Dam. Plum Creek Conservation District is releasing water in that area, which will likely affect the following roads: Cotton Gin, Bunton Lane, Dacy Lane, S. Plum Creek, and Gristmill. 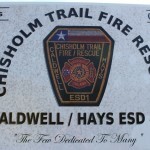 In the next few days, you may see more emergency personnel in the area, including Hays County Sheriff’s deputies, County road crews, and emergency response personnel, including firefighters. While no action is needed by residents in the area as of 5 p.m. June 1, being informed and prepared can help all of us stay safe and avoid disaster. What do I need to do? 1. Sign up for notifications from www.WarnCentralTexas.org. This is a regional effort that notifies residents of emergencies. It’s free and you just need to include your mobile phone number to immediately receive emergency information. If you don’t have internet access, call 866-939-0911 to register your phone. 2. Visit www.haysinformed.com for the latest updates on the situation. 3. As a precaution, prepare yourself and your family to take emergency action up to and including evacuation if necessary. If you are requested to evacuate, follow evacuation instructions. Remember, Hays County is known as flash flood alley, and it is always important to be aware of changing weather situations that may affect you. Las fuertes lluvias han provocado el aumento de los niveles en los lagos cerca de Goforh Road, High Road en el Condado de Hays. Las oficinas de emergencia se están preparando para posibles inundaciones que pueden impactar las residencias y propiedades en las comunidades cercanas a la presa localizada en la area de Goforth y High Rd. El Distrito de Conservacion Plum Creek esta descargando agua en esta zona lo que probablemente afectará a las siguientes carreteras: Cotton Gin, Bunton Lane, Dacy Lane, S. Plum Creek, y Gristmill. 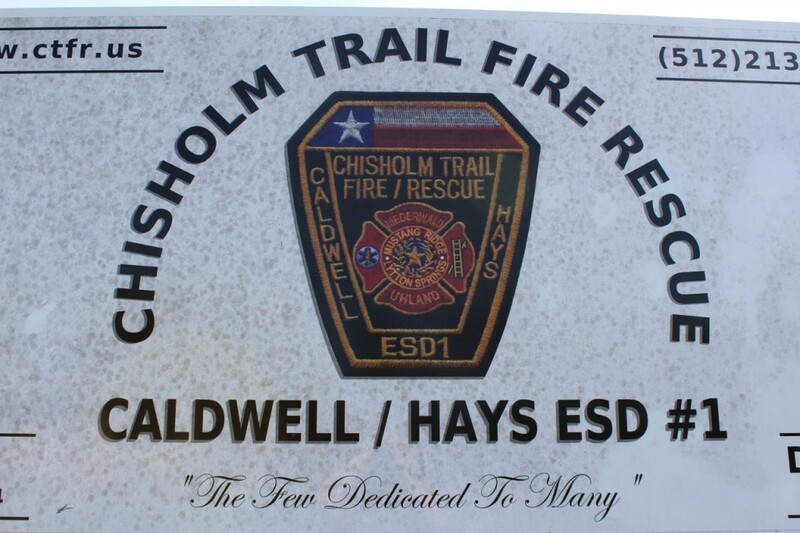 En los próximos días, es posible que aparezca más los oficiales de emergencia en la zona, incluyendo oficiales del la oficina del Sheriff del Condado de Hays, Empleados del mantenimiento de carreteras al igual que paramédicos y bomberos. A partir de las 5 p.m. en Junio 1, no ay ninguna acción necesaria por residentes. Por lo pronto, se le recomienda que se siga informando y preparando para prevenir desastre. ¿Que puedo hacer? 1. Inscríbase a notificaciones de www.WarnCentralTexas.org. Este es un esfuerzo regional que notifica a los residentes de emergencias. Es gratis y sólo tiene que incluir su número de teléfono móvil para recibir información de emergencia inmediatamente. Si no tiene acceso a Internet, llame al 866-939-0911 para registrar su teléfono. 2. Visite nuestra pagina, www.haysinformed.com para las últimas actualizaciones de la situación 3. Como precaución, prepararse y preparar a su familia a tomar medidas de emergencia incluyendo la evacuación si es necesario. Si se le solicita que evacuar, siga las instrucciones de evacuación. Recuerde, el Condado de Hays reconocido como area de inundación repentina, y siempre es importante ser consciente de los cambios en el clima que puedan afectarle. The Texas Water Development Board (TWDB) is pleased to announce the development and launch of the first phase of TexasFlood.org. The website will serve as a centralized location for flood-related data and information on what to do before, during, and after a flooding event. TexasFlood.org will serve as a one-stop shop for statewide stream gage, weather, radar, and precipitation data. The data is featured on an interactive map, making access to data on rising rivers, streams, and reservoirs more easily accessible to Texans. TexasFlood.org also features weather information that will help the National Weather Service in its flood forecasting. In addition, the TWDB made enhancements to the Water Data for Texas website by adding river or stream flood stage information to the lake levels page. TexasFlood.org is mobile friendly and can be viewed on mobile phones or handheld tablets. The TWDB will continue to add more data to the website in the coming months, so check back often to see the additional enhancements at www.TexasFlood.org. Hays County Courthouse, San Marcos, TX – Hays County is participating in WarnCentralTexas.org, a new web portal created by a partnership of cities, counties and the Capital Area Council of Governments (CAPCOG) which allows residents to register to receive emergency alerts by text, email or phone calls about specific neighborhoods. Because the counties and cities in the 10-county CAPCOG region use the same regional notification system, residents can register their email and cell numbers to multiple locations in the region. This allows them to get alerts about their or their loved ones’ homes, offices and vacation homes. 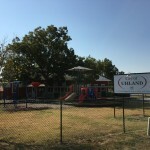 WarnCentralTexas.org serves Bastrop, Blanco, Burnet, Caldwell, Fayette, Hays, Lee, Llano, Travis and Williamson counties. Landlines are automatically signed up, but with more and more households going “all-mobile” it is important to have cell phones or emails registered as well. How to take health precautions during a boil water notice or prolonged power outage. Remember: Stay informed — Register to get emergency warnings in your neighborhood by text, email or phone at WarnCentralTexas.org. There will be no City Council Meeting held on June 1, 2016 due to the Hays CISD Commencement Ceremonies. The Hays County Sheriff’s Office is taking applications for the 2016 Summer Junior Deputy Academy. There will be two separate Academies, one for west-side Hays County residents and one for east. The academies will run Tuesday through Thursday from 8 a.m. until 5 p.m. There are a limited number of seats available on a first-come, first-serve basis. Members of the Sheriff’s Office will introduce the cadets to various functions of law enforcement including patrol, SWAT, crisis negotiation, criminal investigations, crime scene, and community services. The cadets will also have an opportunity to meet “Rocky”, the K9 unit of the Sheriff’s Office. Other first responders, Fire Department and Emergency Medical Services, will also be on hand to demonstrate their services and related equipment. Other presentations will be made by the Greater San Marcos Youth Council and Pedernales Electric Cooperative who will present a segment on electrical safety. The cadets will tour the Sheriff’s Office, a local fire station, and the Commemorative Air Museum in San Marcos. The Cadets will also have an opportunity to meet with Sheriff Gary Cutler. The Junior Deputy Academy is open to all children who reside in Hays County and are between the ages of 8-10. Applications are available on our Sheriff’s Office website https://www.co.hays.tx.us/sheriff.aspx, Facebook page or may be obtained by contacting Irene Hernandez by email: Irene.hernandez@co.hays.tx.us or Deputy Stephen Traeger by email: stephen.traeger@co.hays.tx.us or at 512-393-7373. Highway safety issues for Highway 21. Discussion on highway safety, school bus loading/unloading rules, residential concerns. A 2.10 acres of 6.47 total acre tract of land situated in the John Stewart Survey, abstract #14, Hays County, Texas. Same being a portion of a called 25.838 acre tract of land conveyed to Matthew Edevold & Bryan Lovelady in volume 4858, page 753, official public records of Hays County, Texas, and being more particularly described by metes and bounds. Complete descriptions are available at city hall. A public hearing will be held by and before the City Council of the City of Uhland, Texas on the Sixteenth (16) day of March, 2016 at 5:00pm in the City Council Chamber of the City Hall of the City of Uhland, Texas, for all persons interested in the above proposed annexation. At said time and place all such persons shall have the right to appear and be heard. Of all said matters and things, all persons interested in the things and matters here in mentioned, will take notice. 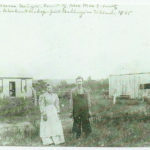 Being all of that called 26.25acre tract in deed to Andrew J. Hart recorded in volume 1196, page 10 of the official pubic records of Hays County, Texas (O.P.R.H.C.T.) and described in volume 1062, page 606 of the O.P.R.H.C.T; and being more particularly described by metes and bounds. A public hearing will be held by and before the City Council of the City of Uhland, Texas on the Sixteenth (16) day of March, 2016 at 5:30pm in the City Council Chamber of the City Hall of the City of Uhland, Texas, for all persons interested in the above proposed annexation. be heard. Of all said matters and things, all persons interested in the things and matters here in mentioned, will take notice. By order of the City Council of the City of Uhland, Texas this the seventeenth (17th) day of February, 2016. Proposed Cotton Gin Estates, 223.942 acres to be voluntary annexed into the City of which of the total 247.559 with existing 23.617 in the City Limits. The Texas State Soil and Water Conservation Board is offering free soil testing while supplies last for properties located in the Plum Creek watershed. Up to 2 kits per person may be picked up at the NRCS office located at 1403-D Blackjack Street in Lockhart. With spring planting season around the corner, this is a great time to find out not only the nutrients your soil needs, but also what you can do without. Contact Troy Freeman with the Caldwell-Travis Soil and Water Conservation District for more information. To find out more about the Plum Creek Watershed Partnership, please visit our website. 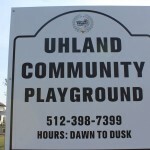 The City of Uhland will hold a public hearing at 6:00 p.m. on February 17, 2016, at Uhland City Hall, 15 Old Spanish Trail, Uhland, Texas regarding the submission of an application to the Texas Department of Agriculture for a Texas Community Development Block Grant Program (TxCDBG) grant. The purpose of this meeting is to allow citizens an opportunity to discuss the citizen participation plan, the development of local housing and community development needs, the amount of TxCDBG funding available, all eligible TxCDBG activities, and the use of past TxCDBG funds. The City encourages citizens to participate in the development of this TxCDBG application and to make their views known at this public hearing. Citizens unable to attend this meeting may submit their views and proposals to Karen Gallaher, City Administrator, at the City Hall. Persons with disabilities that wish to attend this meeting should contact the City Hall to arrange for assistance. Individuals who require auxiliary aids or services for this meeting should contact the City Hall at least two days before the meeting so that appropriate arrangements can be made. Para más información en español, comuníquese con Karen Gallaher al (512) 398-7399. Hays County reinstates burn ban for unincorporated areas. 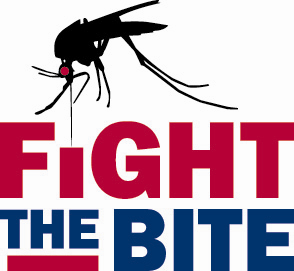 Hays County’s Fight the Bite page has been updated (link belbow) with information about Zika virus and a link to CDC information. The City of Uhland will hold a public hearing at 5:05 p.m. on February 2, 2016, at Uhland City Hall, 15 Old Spanish Trail, Uhland, Texas regarding the submission of an application to the Texas Department of Agriculture for a Texas Community Development Block Grant Program (TxCDBG) grant. The purpose of this meeting is to allow citizens an opportunity to discuss the citizen participation plan, the development of local housing and community development needs, the amount of TxCDBG funding available, all eligible TxCDBG activities, and the use of past TxCDBG funds. The City encourages citizens to participate in the development of this TxCDBG application and to make their views known at this public hearing. Citizens unable to attend this meeting may submit their views and proposals to Karen Gallaher, City Administrator, at the City Hall. Persons with disabilities that wish to attend this meeting should contact the City Hall to arrange for assistance. Individuals who require auxiliary aids or services for this meeting should contact the City Hall at least two days before the meeting so that appropriate arrangements can be made. Para más información en español, comuníquese con Karen Gallaher al (512) 398-7399. Traffic on Old Spanish Trail is flowing once again across Plum Creek. 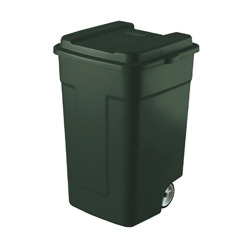 Waste pickup for Friday 12/25/2015 will slide to Saturday 12/26/2015 in Observance of Christmas Day. Waste and Recycle for 1/1/2016 will slide to Saturday 1/2/2016 in observance of New Year’s Day. Happy Holidays from the City of Uhland.